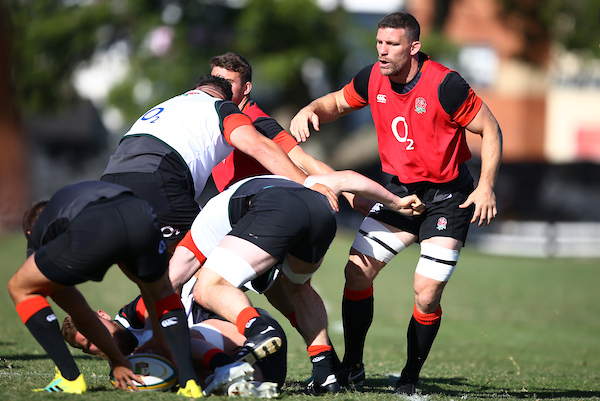 The Springboks can look to target England at the breakdown in what should be a fascinating three-Test series, writes defence coach OMAR MOUNEIMNE. 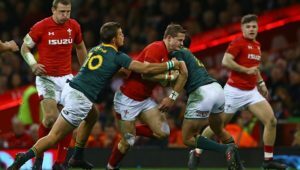 To look at the specific threat the Boks could face in Saturday’s first Test, Danny Cipriani and Owen Farrell are both flyhalves who are very talented. They are brilliant at standing close to the line, with multiple options at their disposal. England, like all good teams, have good attacking shapes. They have late inside runners close to the ruck, they have multiple pod options on the outside, and they have players who hold the ball with two hands with the ability to show-and-go if the defence doesn’t meet the challenge. The most important thing on defence isn’t necessarily communication, but rather vision recognition. Simply put, it’s about looking up, recognising the attacking shape and then communicating that information to your teammates to deal with the threat. 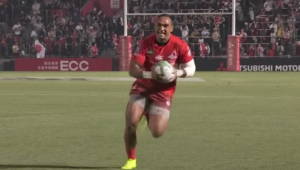 The defensive approach of hold, hold, press is common in rugby circles, but this really provides zero information about the attacking shapes or threats that are faced. Under Jacques Nienaber, the Boks will have a more sophisticated way of communicating about what they see in front of them and what they going to do about it. The English attack has a rugby league influence, and many of England’s plays involve decoys (they call them hard lines) to sit down defences, which essentially means to keep defenders flat-footed and using decoys to get around them. The opportunity for the Boks should come at the breakdown, where they can look to target the visitors. England’s attacking breakdown was the slowest in the Six Nations next to Italy’s. France and Scotland attacked them there and the Boks would have picked this up. In trying to run these multiple decoy plays and sophisticated lines at pace, the breakdown on attack can be vulnerable and carriers are often isolated, which is why the choke tackle could also be effective at times. Another talking point in the lead-up to this series has been Eddie Jones’ tough training regimes in camp. Training at game-intensity with collisions and lots of running is how England won back-to-back Six Nations, and 18 games on the trot. The reason for the sudden high injury rate is unclear because Eddie is an incredible coach who knows what it takes to be the best. The conditioning coaches from the unions should provide all the data to the national team on number of training sessions, their duration and intensity, not to mention game stats. There should be communication about the workload a player has had, and how much more he can take before the risk of injury. If players’ recovery, wellness and workloads are well managed, there must be an explanation for all these injuries. 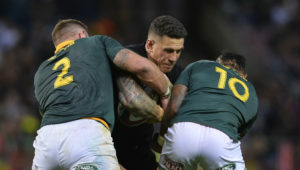 Turning the attention back to Saturday’s first Test – it should be a fascinating affair, especially considering that both Eddie and Rassie Erasmus believe in brute physicality, immense work ethic and precision systems. Both men are also super technical, so it’s a case of coaching Jedi vs Jedi.